The radical far-left group Antifa has been using threats and violence to suppress conservatives, libertarians, nationalists, and capitalists for months, and finally, a state has officially labeled them a terrorist group. 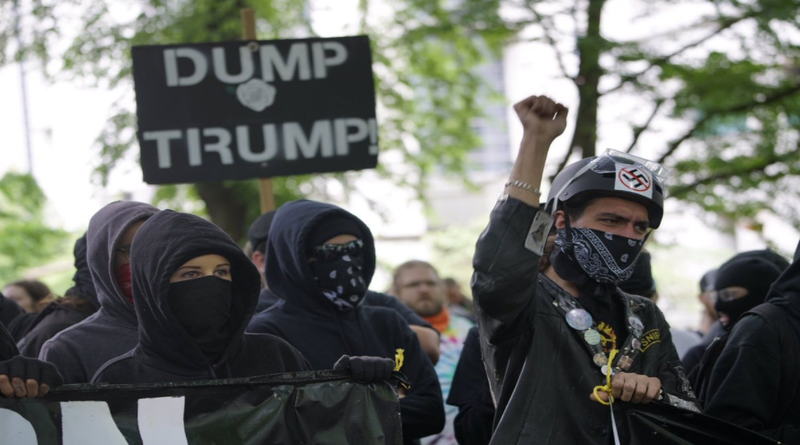 On June 12, New Jersey became the first state in the country to label Antifa a domestic terrorist organization with the state office of Homeland Security and Prepardness. “Anti-fascist groups, or “Antifa,” are a subset of the anarchist movement and focus on issues involving racism, sexism, and anti-Semitism, as well as other perceived injustices,” the website details. Among the incidents that led the state to declare Antifa a terrorist organization include the riot at Berkeley against Milo Yiannopoulos, a violent disruption against a pro-Trump rally in Philadelphia back in March, and a violent attack against white supremacists on June 2016. Antifa has staged several other violent rallies, which begs the question: What is taking the federal government so long to identify them as a terrorist organization? Once we get rid of the “dead-weight” in the U.S. House and Senate, Congress should reestablish another House Committee on Un-American Activities and another Senate Permanent Subcommittee on Investigations to keep track of such trash. So-called “Anti-Fa” are nothing but communist criminals, paid to attack and violate the Constitutional Rights of white Christians and other members of the Freedom Movement.